People with an interest in natural history will thoroughly enjoy this trip. Each voyage is accompanied by an experienced naturalist who will give talks, slide shows, and lead shore excursions. With the help of interested participants we plan to keep a list of the animals and plants we sight each day. 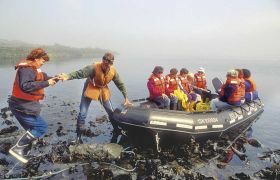 We do daily shore excursions in our inflatable zodiacs, as well as short hikes on the various islands. 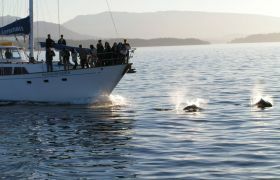 The Gulf Islands are considered by many sailors to have some of the best cruising on the west coast of North America. Late spring and fall are the ideal time of year to visit; summer crowds are absent and the weather is generally mild and gentle. Frequented by the critically endangered Southern Resident Killer Whales, the Gulf Islands are a rich feeding ground for all marine birds and mammals. 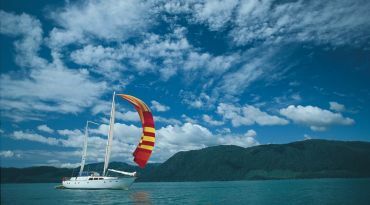 The islands are considered by many sailors to have some of the best cruising on the west coast of North America. 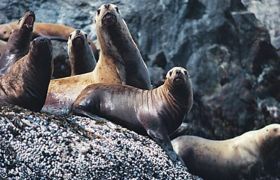 We expect encounters with Dall‘s porpoise, harbour seals, two species of sea lion, and perhaps orcas or minke whales. 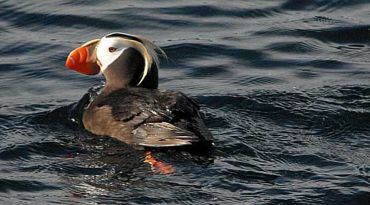 The annual bird migration will be underway, and we expect to see many species of birds - bald eagles, auklets, murrelets, cormorants, phalaropes, and various species of gulls. 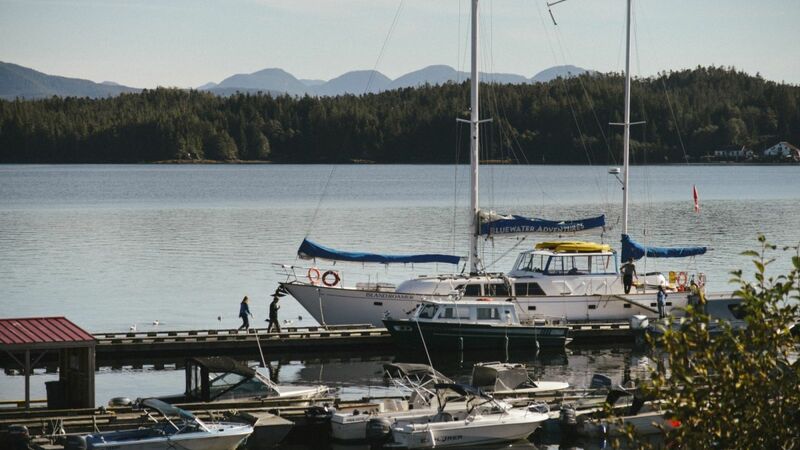 We will visit the Gulf Islands National and Provincial Parks while sailing the scenic channels throughout this archipelago. 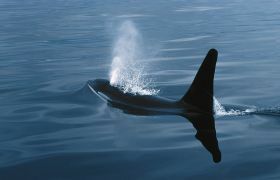 We expect encounters with Dall‘s porpoise, harbour seals, two species of sea lion, and perhaps orcas or minke whales. Porpoises are great fun as they often rush over to the boat and ride on the wave under the bow. The annual bird migration will be underway and we expect to see many species of birds - bald eagles, auklets, murrelets, cormorants, phalaropes, and various species of gulls. 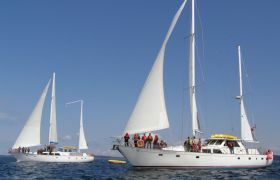 The Gulf Islands are considered by many sailors to have some of the best cruising on the west coast of North America. Late spring and fall are the ideal time of year to visit; summer crowds are absent and the weather is generally mild and gentle. 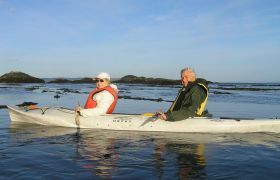 Our voyages focus on the new Gulf Islands National Park and several marine parks among the islands. We sail the many scenic channels among the islands of the archipelago. 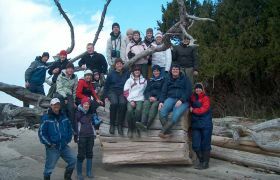 We go ashore frequently, walking with our naturalist to learn about the flora and fauna. Each night is spent at anchor. There are lovely quiet anchorages; often with trails for an evening or early morning walk ashore. 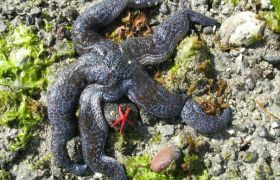 Along the shore we will explore the intertidal zone for fascinating invertebrates - starfish, sea anemones, clams, crabs and perhaps nudibranchs. The sheltered waters made these islands a favorite wintering site for Coast Salish native people. 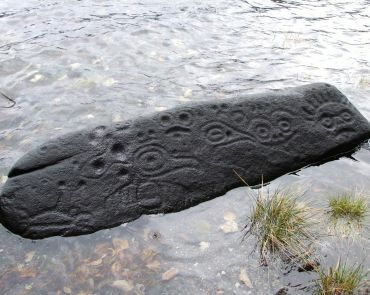 Throughout the islands there are native rock carvings (petroglyphs). 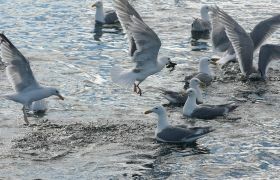 All of our Gulf Islands trips start and finish in Sidney, British Columbia. Sidney is located on Vancouver Island, just outside Victoria and is a quick 10 minute taxi ride from the BC Swartz Bay Ferry terminal. Should you elect to drive onto the ferries, Sidney is located on Highway 17 approximately 6 kilometres from the Swartz Bay Ferry Terminal, or 27 kilometres from downtown Victoria. If you require long term parking in the lot at the marina, please purchase your tickets from the Robbins Parking machine located on the southwest end of the lot. You can also chose to catch a connecting flight from Vancouver to Victoria to avoid traveling on BC Ferries. The following airlines have scheduled service between Vancouver and Victoria.